BollywoodKhabri - The Bollywood Blog! Kaise Milun Main Piya is a melodious song from the upcoming film Rajjo. It stars Kangana Ranaut and Paras Arora and will be in theatres on November 15th. A very unique and innovative concept. Unfortunately, the execution was not upto mark making Rajjo a flop movie. A simple melodious song from the movie. Give it a try! Here is the latest movie stills from Shuddh Desi Romance Movie. This movie starring Parineeti Chopra, Shushant Singh Rajput, Vaani kapoor and Rishi Kapoor. This movie is set to release on 6th September 2013. 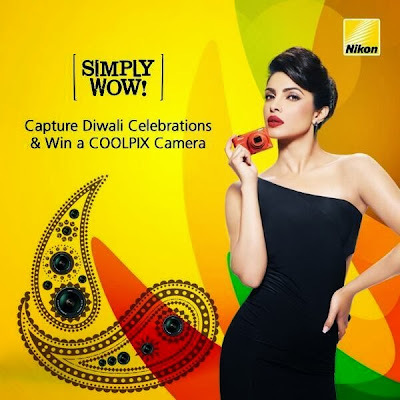 Bollywood Actress Priyanka Chopra's Diwali print ad for Nikon Camera - November 2013.